Put an end to expensive outsourcing. 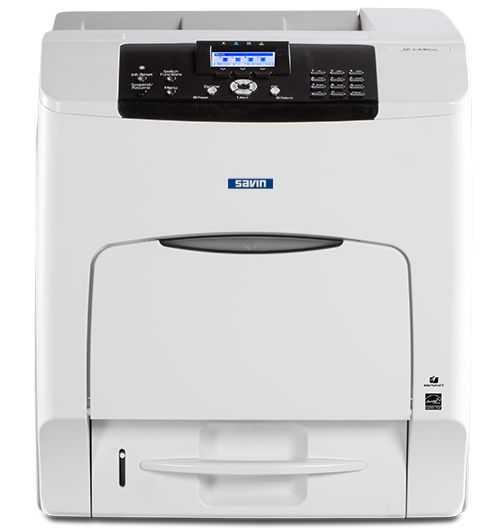 The SP C440DN delivers superior image quality at 42-ppm printing for black & white and color pages with the lowest possible total cost of ownership. Standard automatic duplexing, mobile device printing, and an expandable, versatile media supply allow you to print anything in-house with improved quality and cost control. 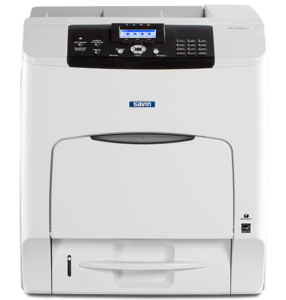 Add the optional 320 GB Hard Disk Drive for local secure document storage, print on demand, and data protection capabilities. ECO Night Sensor built into control panel. Weekly On/Off Timer, Fusing Off modes save more energy when not in use.